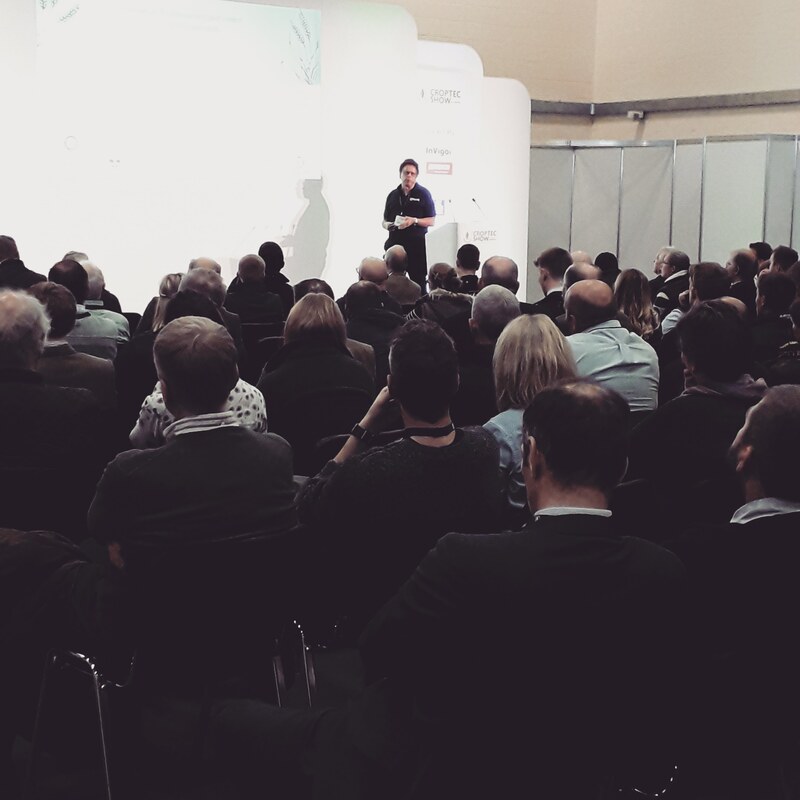 Prof Rob Edwards and Dr Roma Gwynn were among the speakers at this year’s CropTec Show 2018. The event was held at the East of England Showground in Peterborough. Rob and Roma spoke to audience of 200 over the two day show. Their topic focussed on how biological products can help to strengthen a plants resistance to disease and pests as a result of the trials. In addition they focussed how much benefit do they provide; are they value for money and what about public perception? 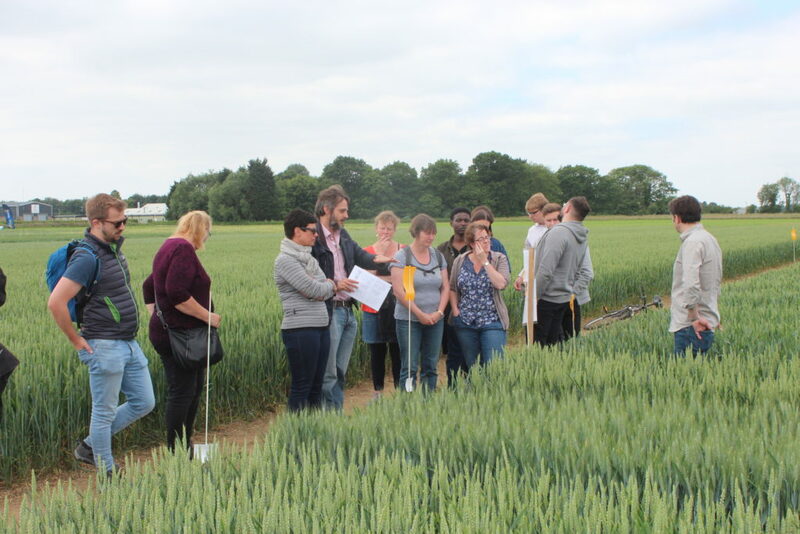 In conclusion, Rob and Roma shared two years of trial results comparing the effectiveness of synthetic and biological products on disease resistance, yield and quality for different wheat varieties. 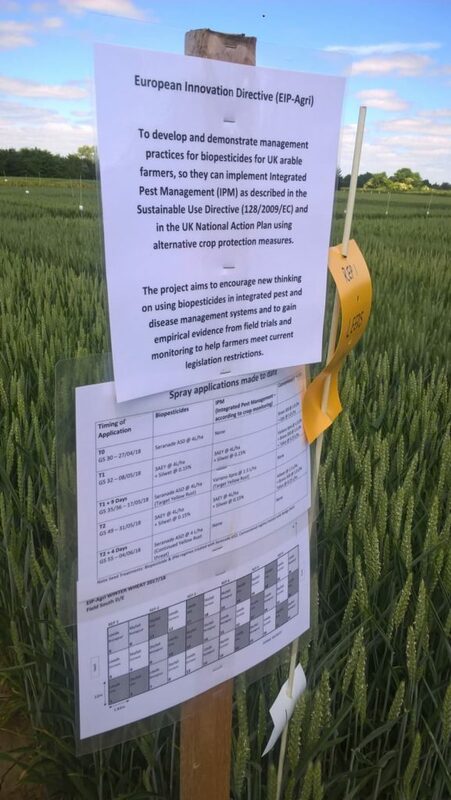 10th July 2018 – Will biocontrol’s work for arable farmers? Group discussion with farmers and researchers. 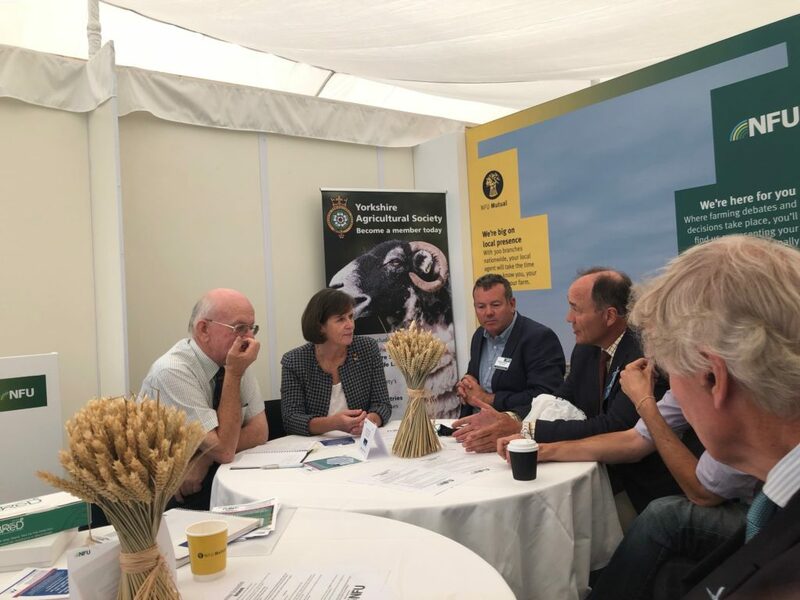 Dr Roma Gwynn, Biorationale and Prof Rob Edwards, University of Newcastle, led discussions at this year’s 160th Great Yorkshire Show, on whether biocontrol’s were the future for farmers, what was the perception of these bio-agents and would they would be cost effective for farmers to use. 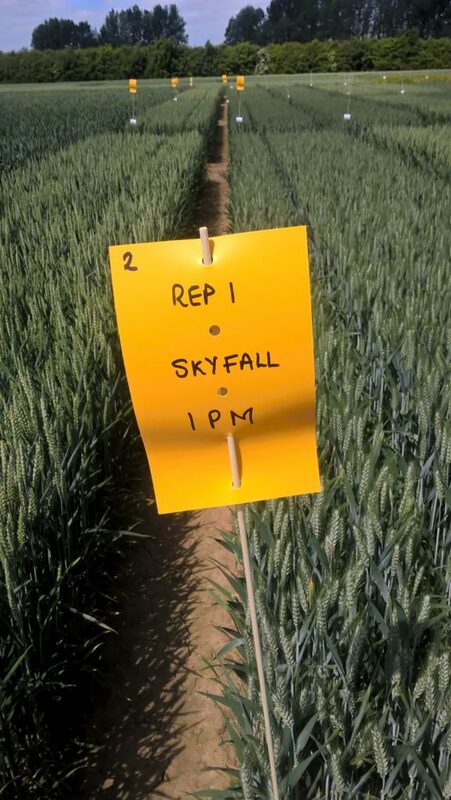 Discussions linked in the trials currently underway through Crop Health North. 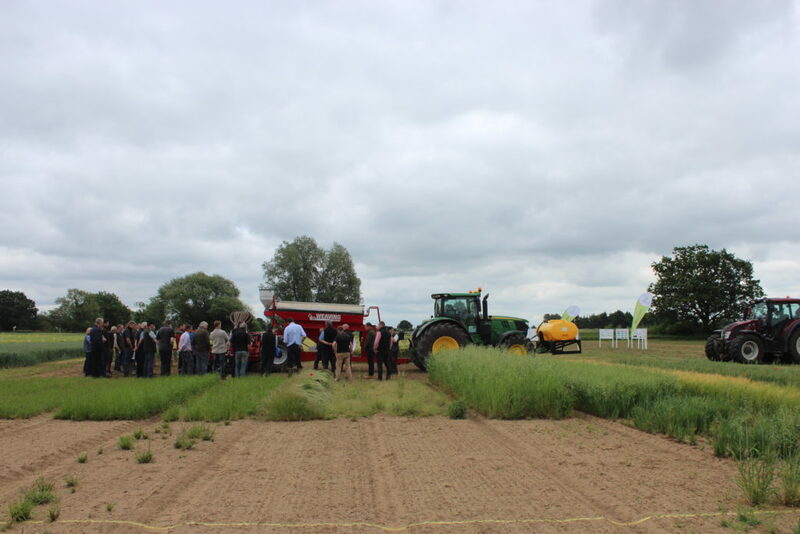 A second day of trial demonstrations took place on the 8th June during Stockbridge Technology Centre’s Procam event. The audience was made up of farmers and agronomists with around 60-70 people, three groups in total, with plenty of interest. Members of the operational group went to showcase the trials at the recent Stockbridge Technology Centre demonstration event, it was a great day for it! 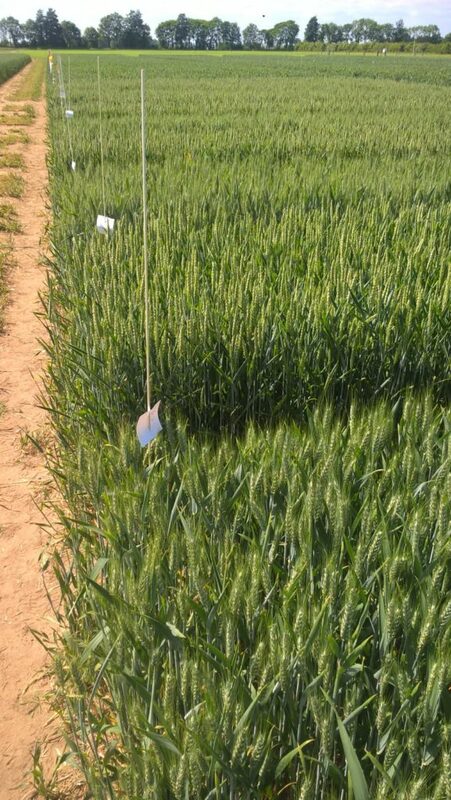 The wheat trial is looking good. 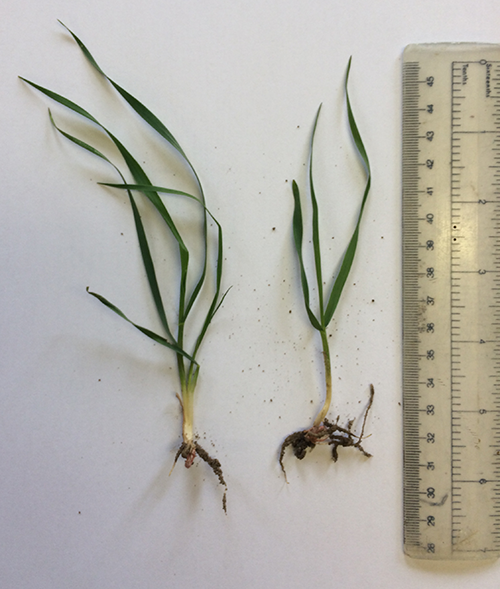 Septoria still not an issue. Just trying to keep a hold on yellow rust on the biological plots with another Serenade spray earlier this week. Attendees included farmers, agronomists, representation from Bayer and a group from the Chemicals Regulation Directorate (CRD) in York. 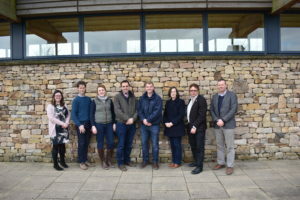 Crop Health North Team meet at the Yorkshire Agricultural Society to discuss the details of the trials. 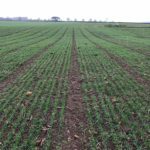 Progress photos of the Spring Wheat trial site at Nafferton Farm. 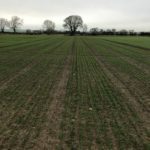 Progress photos of the Spring Wheat trial site at Cockle Park Farm. The crop growing well. 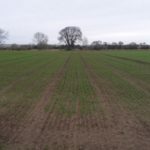 The project team are due to meet on the 22nd February to discuss spray regimes. Trial sites at Stockbridge Technology Centre. So far the crop has good establishment. The ground is wet but not too bad for this time of year. The project will focus on it’s spray program for 2018. Following on from the conference last month, discussions continue as to how the project could utilise spore diagnostic equipment to pre-empt disease periods. The operational group hope to obtain a device to monitor this in the New Year. Can the project analyse conventional timings vs. optimum biological timings. Can the project use spore capture technology to identify when spores land? Can the project demonstrate financial viability? Can the project access crop monitor farm data as a comparison? Can the biological add value through nutrition uptake? What is the perception of biologicals with farmers and the general public? 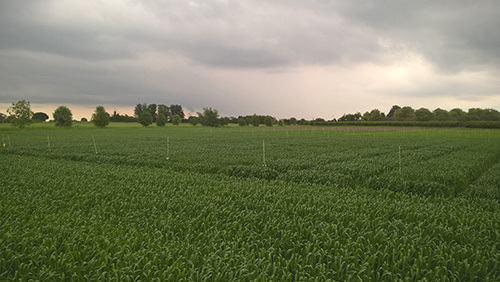 Tom talks through the spring wheat trials and plot designs for next year’s winter wheat. 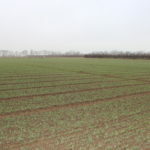 The crop was successfully drilled at Stockbridge Technology Centre. 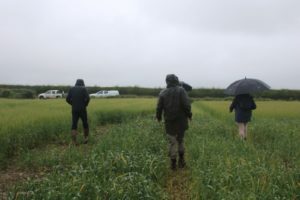 It was a rather wet and drizzly day for our Spring Wheat Demonstration Day in the North East. 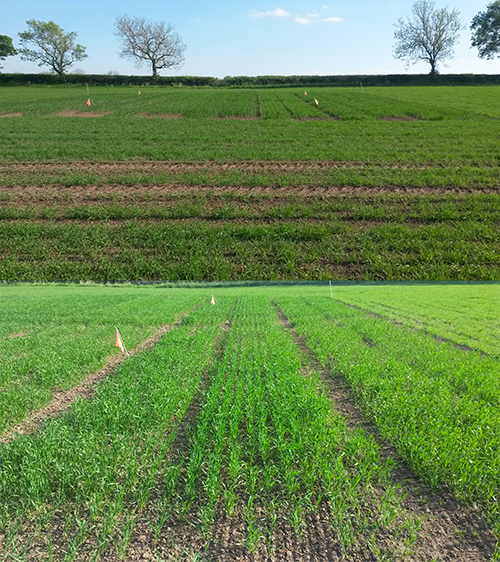 The event took place on Tuesday 4th July near Morpeth and was open to all who were interested to learn about the progress of the trials. 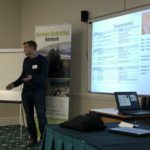 Prof Rob Edwards chaired the discussions and we heard from Tom King, Eurofins, who is leading on the trial site analysis at Cockle Park and Nafferton Farms. The Mulika examples look a lot dirtier – you can see the yellowish leaves. Due to the brighter and drier weather conditions this year, there has not been a great amount of disease. 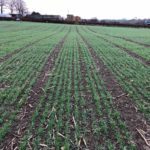 It will be useful to see the yield of the grain and the protein content and to make a visual comparison with Stockbridge Technology Centre based further south. These samples have not been counted and were for observation purposes only. This may not necessarily be a negative. The vision of the trial is to see how plants can increase their natural defences. 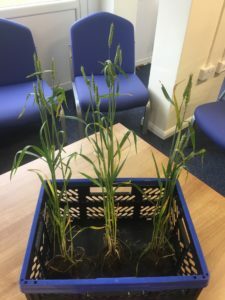 A plant may have yellow septoria, however, could be a stronger variety as a whole and better equipped to fight off disease. 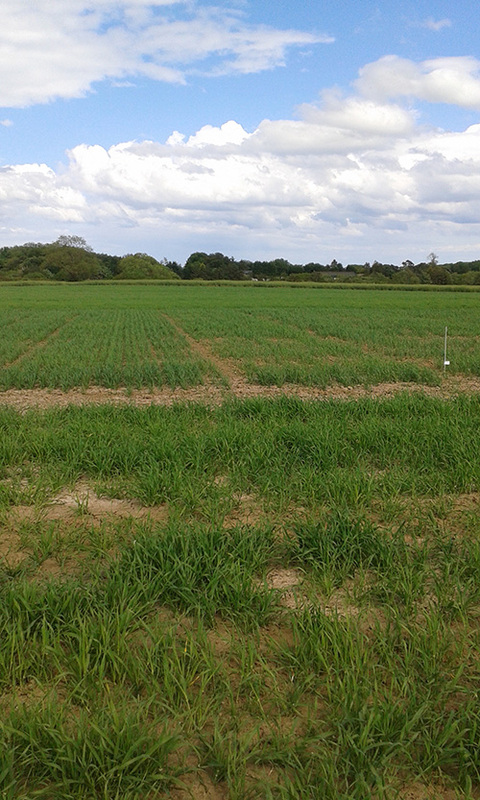 Progress image from Stockbridge Technology Centre trial plot. Nafferton and Cockle Park were sprayed today. Cockle Park has had some slug damage but should be ok once it catches up with the Nafferton site. Not enough damage that is worth treating. Still plenty of crop there though for results and yield. Images of the Nafferton site making good progress after some much needed rain. The trial site has thickened up well and is slightly further on than the Cockle Park site. Discussions amongst the team about the potential for aphids. 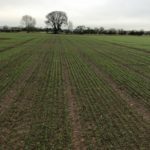 General growth stage update from Cockle Park Farm. Plant counts. 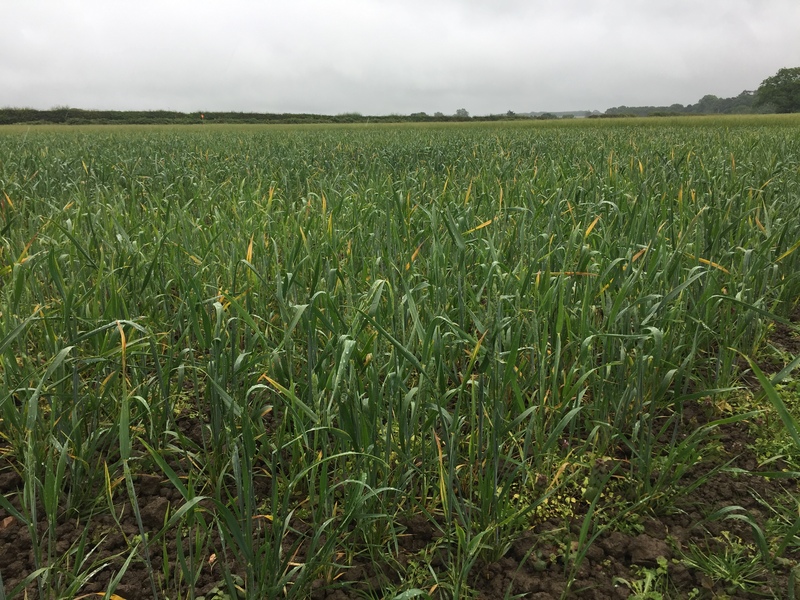 Most plants have 3 or 4 tillers so around GS 23 -25. Copyright Farmer Scientist Network, All Rights Reserved. Website by The Floating Frog.